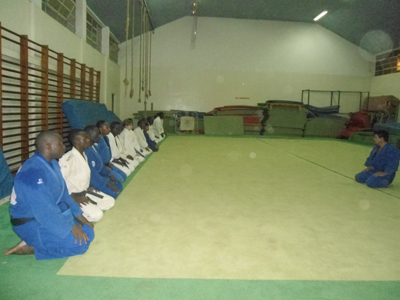 For many years, the sport and practice of judo remained as a reserve of the disciplined forces of Kenya, save for two, maybe less, places like Malindi where actual civilians got to practice. 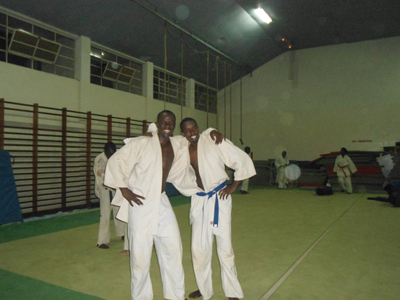 In the recent years however, the practice has greatly decentralized from the forces with the establishment of civilians clubs such as the one in Rongai, run by a guy called Nyundo, and most importantly, to me, the introduction of judo to Kenyatta University. When I joined in 2008, the practice was sort of dying because the university saw no value in hiring a qualified coach to run the show, which forced students to bear the whole burden of teaching the art they understood very little, if any, about, but that did not stop me from joining the bandwagon. After a year of practice I was promoted to the rank of green belt and made captain of the team, which meant I now had to teach others what I had so far learnt. I taught break falls, a couple of throws and some few mat maneuvers, but after some time I started getting the feeling that I wasn’t making any real progress myself, so the passion slowly faded, and I also got bigger and better fish to fry. A year or so later we have a new coach from South Africa and the fire in me kind of just rekindled with a vengeance. I excavated my judogi from the depths of places not many want to know, cleaned it up and went back to the tatami. Although I lost quite some precision somewhere along the course of time, I practice harder and with more determination than before, knowing I can keep my kodokan dream alive. Still the practice and sport of judo is rather uncommon in the country being there no more than 10 clubs, a weak embattled association and minimal to zero publicity. Maybe, I hope, many people will get a chance to learn this beautiful art when there are more clubs in Nairobi and the larger Kenya, and maybe I will be part of that change, I’ll be honored. 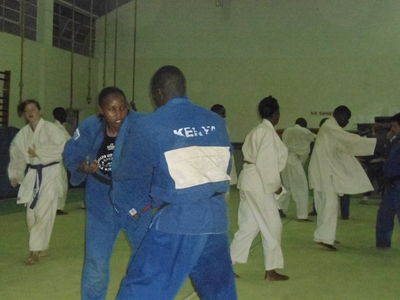 Apart from Nairobi, Nakuru and Malindi are the only other places one can practice judo in Kenya.